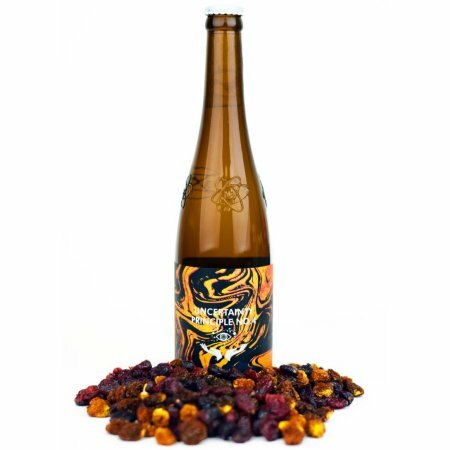 BURLINGTON, ON – Nickel Brook Brewery has announced details of the the latest release in its monthly Funk Lab series of sour and barrel-aged beers. This lovely one-off brew is as inviting as it sounds. A complex sour with a bold funk aroma and crisp undertones of Chardonnay. Pouring an inviting light red hue, punchy oak flavours are greeted with a berrylicious uppercut. The finish is tart and dry with a mellow wild yeast tang. Uncertainty Principle No. 4 will be released at the Nickel Brook retail store on Friday February 15th. It can be pre-ordered now via the Nickel Brook online shop for delivery within Ontario or pick-up at the brewery.